You need to active the Roku device if you haven't done so already. Yes, I have been having the same problem too. The Watch TCM app for Roku is the worst one I have encountered. I often wonder why TCM can't create a working app when it seems like every other network can. The Watch TCM app often fails to load. When it does load, there are times when it forces me to reactivate the app. This weekend, when I try to watch TCM through the Watch TCM app on my Roku, I am directed to reactivate the app. 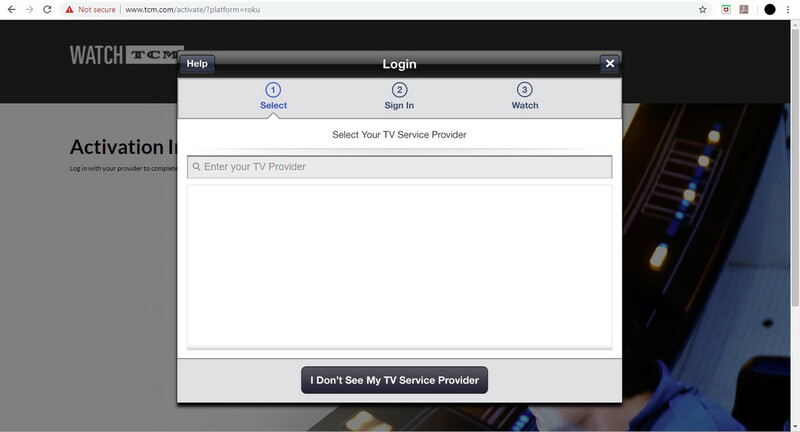 When I go to tcm.com/activate, I am prompted to select my provider from a blank pop-up window. I should see a pop-up window with a list of providers to choose from. As you can see here, TNT has managed to do it correctly. Is this really so hard for TCM to do? My Roku did the same thing. I had to put in a new code, even though it did not look like the Watch TCM app updated. Got the very same blank screen with no option of providers. Yep, BAD TCM! EDIT: Roku Express and Roku Streaming Stick. Both get the blank menu with no options. Amazon Fire TV Stick gave me trouble too. Did not get primary list of providers. Had to scroll all the way to the bottom for Xfinity. Did log in and all seems okay. Normally I would consider multiple posts on the same topic spam but anyway I found what maybe a solution to those having difficulty registering their ROKU devices. Nothing will play, even after I am supposedly activated and signed in. Happens on both the Roku and mobile apps. Ridiculous! I just started having the same problem with the WatchTCM app yesterday. The app was working fine on my iPad (new in 2018), with my provider, Spectrum. Now, it’s nothing but problems. I have deleted and downloaded the app several times, several different ways. (And I’m at home, using our own secure network.) 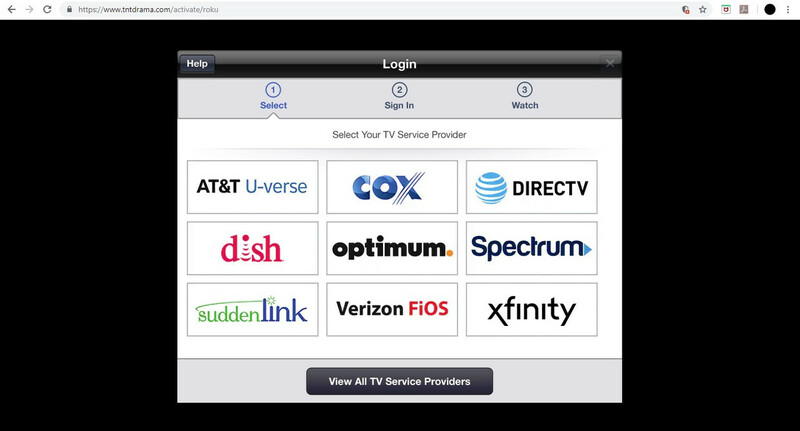 The app downloads, prompts for the cable provider, I select Spectrum, and . . . nothing. Nothing but trouble. Ironically, the app continues to work fine on my iPhone.